A 740 strong crowd from the Western Australian Advertising and Media industry were at the spectacular Crown Towers Ballroom on Friday night for the 2019 Oasis Ball and Campaign Brief Perth Awards. 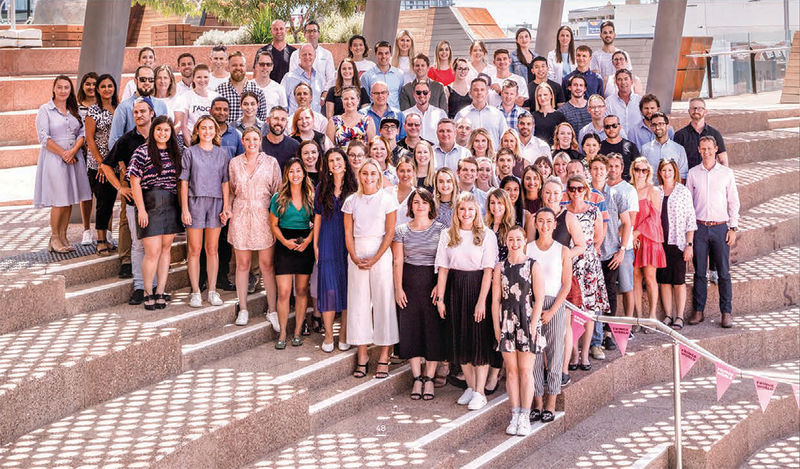 The Brand Agency took out Agency of the Year after a dominant performance in 2018. It became the first agency in the award’s 34-year history to win three-in-a-row. It also won three Best of Year creative awards. Meerkats was runner-up, its year punctuated with some excellent campaigns built on its strategic credentials. 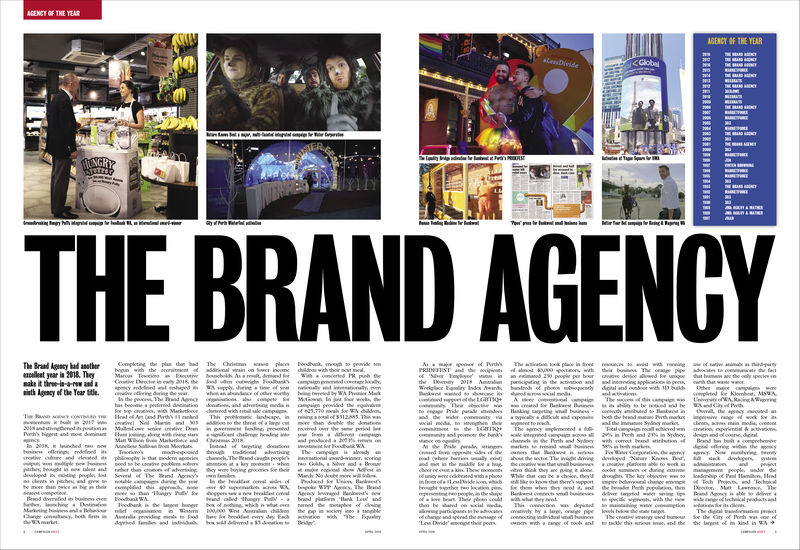 The agency also won three Best of Year creative awards. Advertising Person of the Year went to Rare co-founder and Managing Director, Callum Mackenzie. Water Corporation won Campaign Brief’s prestigious Advertiser of the Year. Working with three different agency partners – Meerkats, 303 Mullen Lowe and The Brand Agency – Water Corporation’s work in 2018 demonstrated freshness and innovation. Helen Filov Media Agency of the Year – Initiative. After stellar year that included picking up a big chunk of the WA Government master media business, Initiative repeated its win in the Helen Filov Media Agency of the Year award, which is voted for by the senior sales directors of WA media. Challenger or Specialist Agency of the Year – &Partners. With just three staff, &Partners was the smallest agency nominated for this award. Nevertheless, in 2018 it produced some eye-catching work and won some notable new business. Media Organisation of the Year – APN Outdoor In a last hurrah under their old moniker (having been taken over by JC Decaux), APN Outdoor has won its first Media Organisation of the Year award, voted by Perth’s senior media managers. APNO has been a consistent top five performer in recent years; now it has finally taken the top spot. Supernova of the Year – Lucy Stoelwinder, Meerkats The Supernova of the Year Award recognises outstanding young people who have the potential to be the future leaders of our industry. Meerkats’ Lucy Stoelwinder has steadily and purposefully built her career to become one of Perth’s youngest Business Directors. 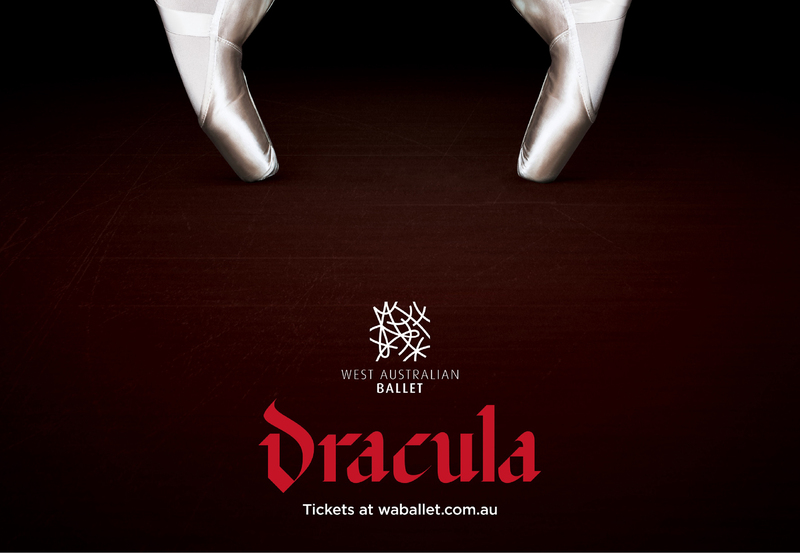 Press – WA Ballet ‘Dracula’ by Meerkats. Use of Data – City of Perth ‘AFL at Optus’ by The Brand Agency. Digital Media, Single Execution – WA Dept. of Health ‘Other Voices’ by Rhythm. Digital Media Campaign – Reiziger ‘Vice Grow Room’ by Digital Loop. Out of Home – Mindarie Regional Council ‘Face Your Waste’ by Marketforce. Experiential & Activation – Foodbank WA ‘Hungry Puffs’ by The Brand Agency. Radio Ad – St John WA ‘Choking Blocks’ by Meerkats. Radio Campaign – St John WA ‘Tiny Tots First Aid’ by Meerkats. Television Commercial – Horizon Power ‘The Experiment’ by Rare. Television Campaign – Lotterywest ‘Powerball Problems’ by Marketforce. Integrated Campaign – Foodbank WA ‘Hungry Puffs’ by The Brand Agency. Full details on all the winners and finalists can be found in the special April edition of Campaign Brief WA released at the Oasis Ball that will be delivered to subscribers this week.